Exerbikes are the way of the future, so get a head start on this type of fitness regimen. 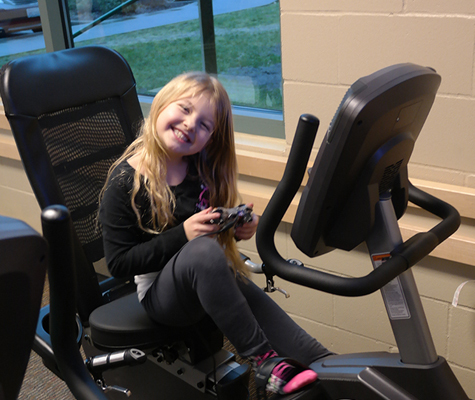 From the most active to the most idle, the Exerbike GS is the answer to get those off the couch and into a fitness facility. 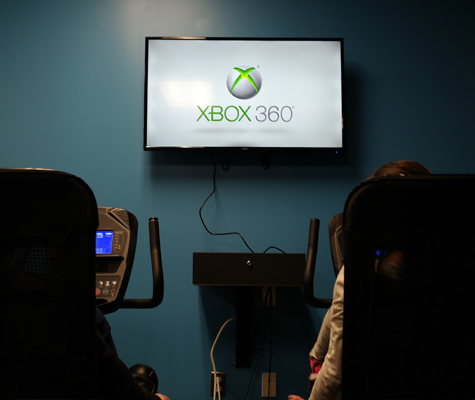 Video gamers no longer need be couch potatoes – simply pedal to activate the attached controller and play your favorite Xbox games. It’s that simple! You can put this fitness product in your home or you can enjoy the many benefits in your fitness establishment. What’s great about this fitness routine is that you can expect results and you’ll always have fun when you use it. 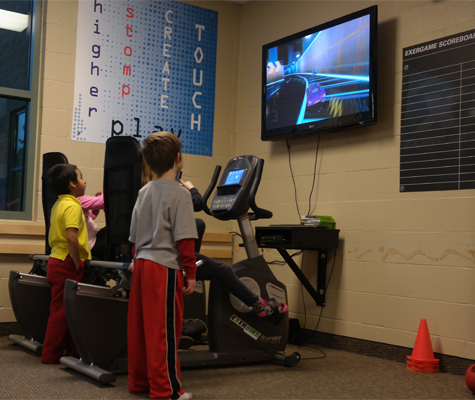 For more information about Exerbike GS, contact us today. 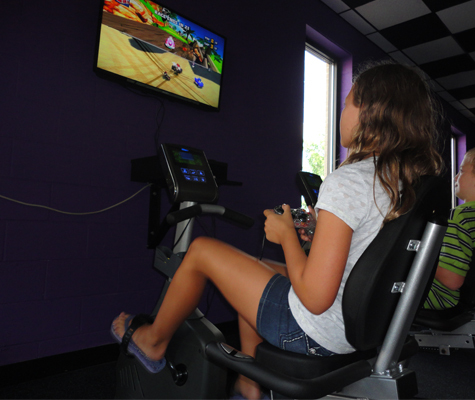 • Strong reliable commercial-grade stationary bikes enhanced with pedal-to-play gamercize technology. • Adjustable seat, and back rest allows users of almost any height to pedal and play. • The built-in heart rate monitor is able to give real-time feedback to ensure you stay in your ideal heart rate zone. • The resistance and program settings will keep you working while the adjustable and safety features will keep you comfortable. • Packaged Dimensions: 64" x 40" x 54"
• Assembled Dimensions - 57" x 30" x 50"
• Packaged Weight - 370 lbs. • Assembled Weight - 147 lbs. • Weight Capacity - 350 lbs.